Sick of the never-ending clean-up after every meal? I do the dishes and I can tell you that I am. It can be so annoying having to clean 2 pots, 1 pan, and who knows what else. It takes forever, even with the help of a dishwasher. Inexpensive, iconic, and just about indestructible, this versatile kitchen tool can deliver the char of a grill, bake the lightest cakes, and stand in for an incredible array of specialty cookware. The result: a mouthwatering, delicious meal, all in one pan. Need some great recipes to get it all going? 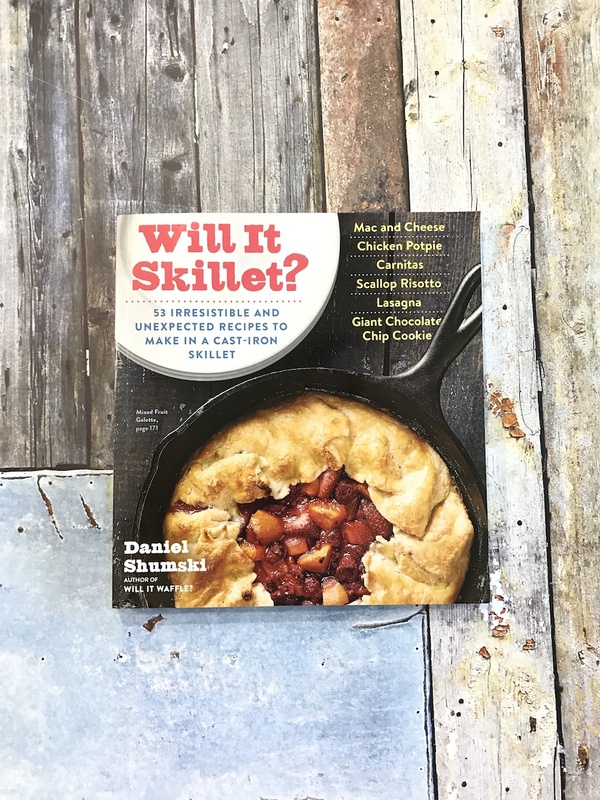 There’s a great book I came across called WILL IT SKILLET: 53 Irresistible & Unexpected Recipes to Make in a Cast Iron Skillet by Daniel Shumski of Will it Waffle? 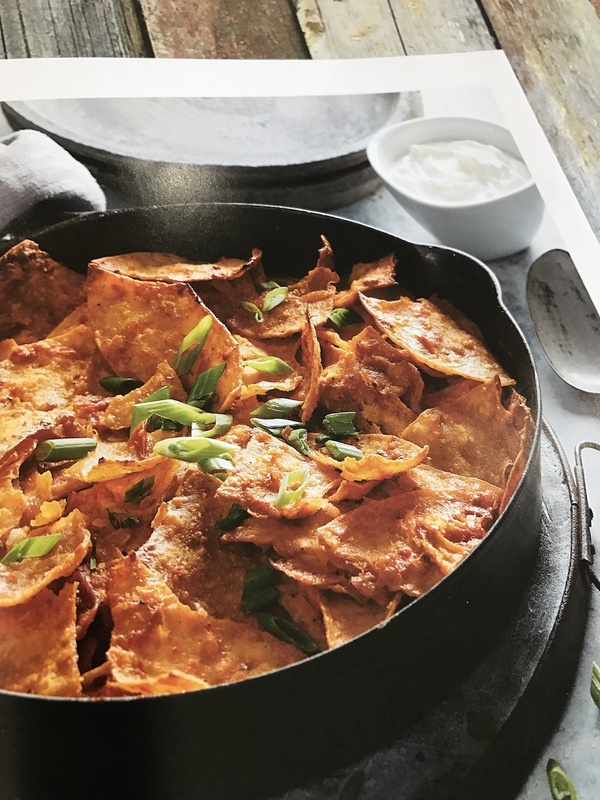 There are easy recipes for weeknight meals, sumptuous appetizers and dinner ideas for date night, vegetarian entrees, mouthwatering breakfast dishes, and luscious desserts. 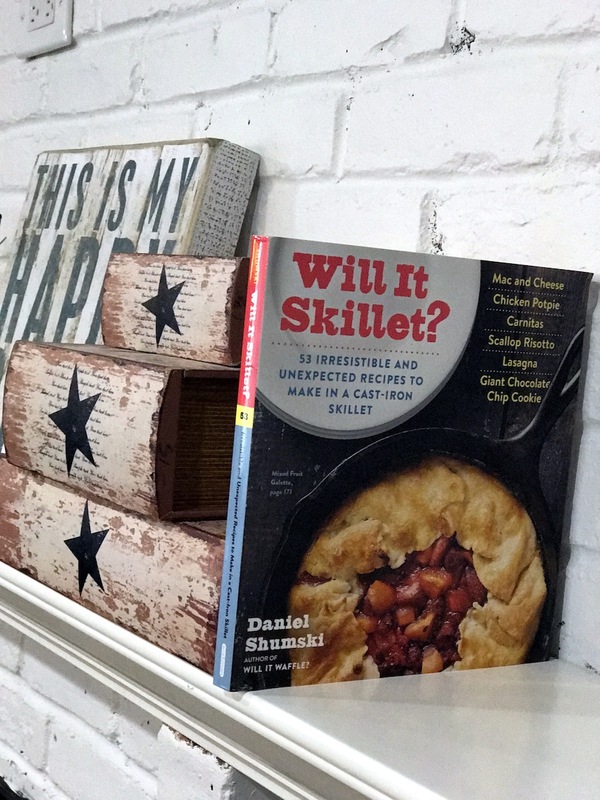 Plus detailed information on buying, seasoning, and caring for your cast iron, along with tips on how to develop your own skillet recipes. From the classic to the inventive, this book has it covered. These recipes are always delicious meals in one-pan cooking. 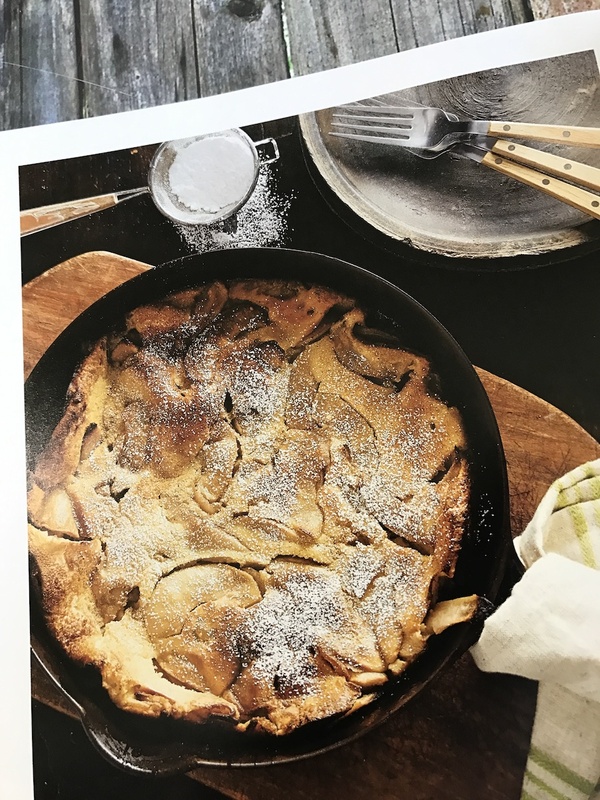 Each recipe is flavorful and innovative—from a buttery Chicken Potpie to a savory Japanese Okonomiyaki pancake to a sweet and gooey Giant Cinnamon Bun. Pastas, including mac and cheese, gnocchi, and lasagna, are made in one pan—no separate boiling required. There’s even a recipe for Peanut Butter Swirl Brownies that doesn’t require a mixing bowl—it all comes together in the skillet. Great directions and beautiful pictures, too. 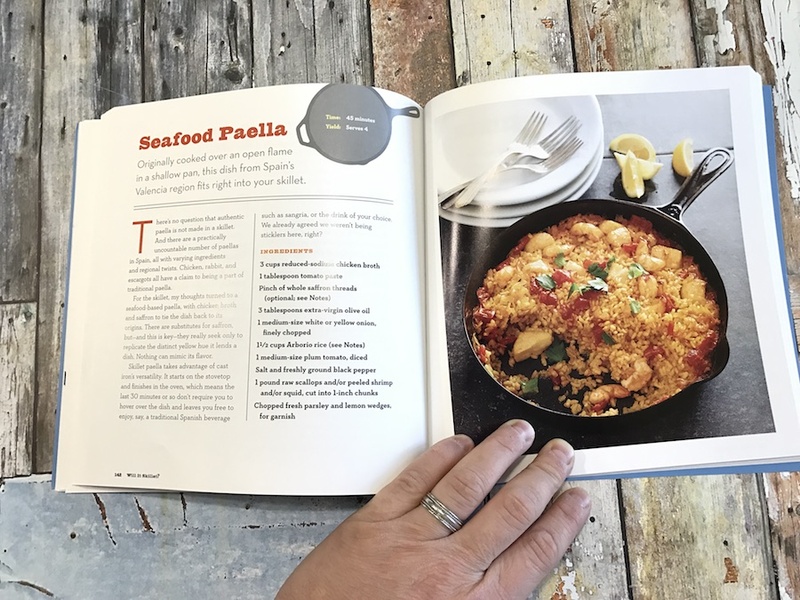 This book is a home-run and a must for everyone’s kitchen. Especially for people like me that love to eat but hate having to clean up afterwards. Guy and the Blog received a copy of this book for review. It’s been so long since we’ve broken out out cast iron skillet. We found a great one at an antique fair – it is so much better than the new ones! Oh my goodness! My husband and I love our cast iron pans! These recipes look and sound delicious.